I'll keep updating this with additional recipes as I find them and add a link to this post in the sidebar so people can check back for updates. If you have a good cheap recipe to share, let me know and I'll add it. If you can include information about the cost of the ingredients, even better! And actually, even recipes that don't necessary count as "cheap eats" are eligible, as any cooking at home is cheap if you compare it to eating out. You can post submissions in the comments or email them to me at openwallet1 [at] yahoo [dot com]. The Hillbilly Housewife's emergency menu plan that feeds 4-6 people for a week for only $45! Now all we need is for someone to do a "Julie & Julia" and write a blog about actually making all of these recipes! I will be posting more recipe stuff soon. My problem is that I toss stuff together and so I can describe a recipe, but not really write one out. I'm game to try a few recipes. I'll let you know when I do. Also--check out the Carnival of Recipes for other contributions from other frugal beings not on your personal radar. Most of her recipes are simple and don't require hard-to-get ingredients. I've made her Orange Chicken and her Yellow Sheet Cake and they were fantastic. 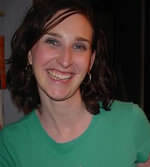 Check out the Hillbilly Housewife's site at http://hillbillyhousewife.com/ -- she's got lots of recipes of all types, including desserts (as well as tons of tips, including a $45 a week emergency menu for 4-6 people, and a somewhat more "costly" plan for $70 for 4-6 people!). there's a guy doing a "julie & julia" type project. his website is www.afoodyear.com. doesn't look like a pro, and i don't think he's placed any particular emphasis on food planning or saving money. still a fun experiment. Boy, I hope the link doesn't allow for editing...And yeah, I like tomatoes! I'm not a PF blogger, but a DIY/craft blogger. Yeah...the toast link is broken! If you are looking to save money on food, there is a website that I have used a couple of times http://www.groceryguide.com/. It is pretty simple and shows you the best deals at local stores. It does work. I stumbled across your blog on a search for "fabulous blogs"...now I know why you are considered fabulous! It looks like we have more in common than blogging! An addition to Caitlin's kielbasa and kale stew - if you add 4 more oz of liquid and a cup of lentils, you'll have stew that can be stretched a little further! Also, instead of using beef broth, I've used chicken broth and squash broth, and they both work very well. And bok choy, arugula, and chard can all be substituted for kale. curry, feijoada and more. Enjoy! To know more about these exciting offers and discounts on designer purses and prada wallet that suits well with you personality ,log on to http://www.designerpurseshop.com now! Thanks for the recipes. Some interesting ones to try. You can never have too many recipes! "fabulous blogs"...now I know why you are considered fabulous!